Online ordering menu for Mary's. 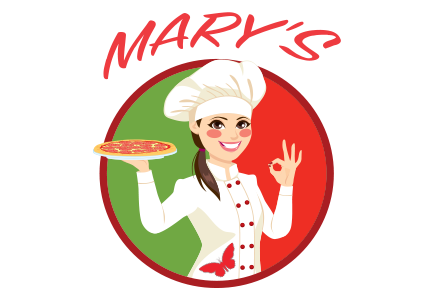 We are family owned and operated Italian and Mediterranean Cafe called MARY’S here in Las Vegas. Our menu has variety of items while customer's favorite dishes remain our authentic Italian pizzas, pastas and the Mediterranean dishes such as kabobs, appetizers, etc. The ingredients we use are always fresh and prepared daily, and cooks make sure the food is something you would enjoy. Our cafe’s promise is to give our costumers the best experience they ever had once they step into our cafe. We're located by the Silverado Ranch Plaza south of Belway Marketplace. Order online for carryout or delivery!